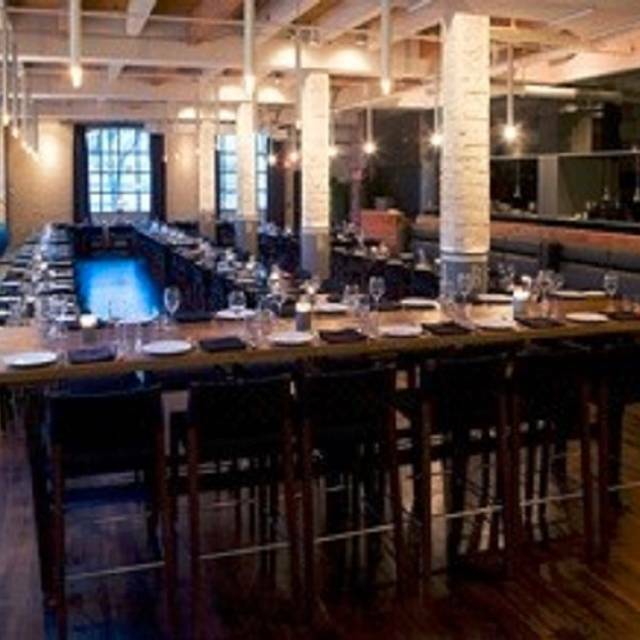 Brassaii Restaurant and Lounge is Toronto's sophisticated and cosmopolitan destination. 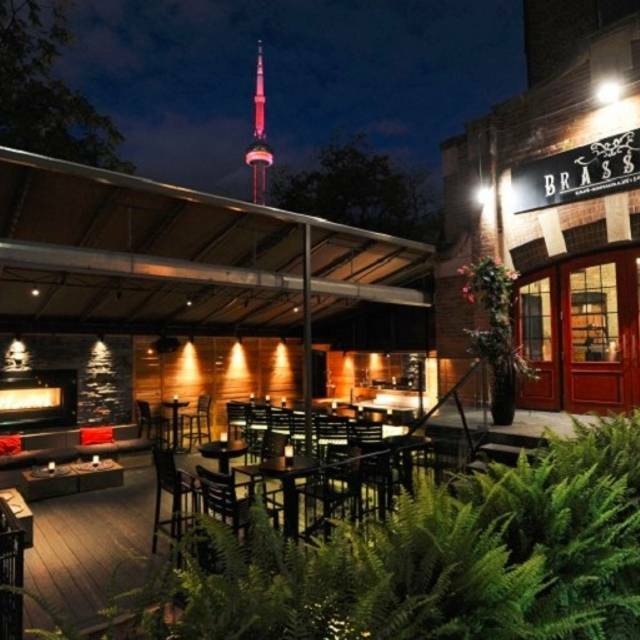 Nestled amidst a romantic cobblestone courtyard patio, Brassaii elevates the finer dining experience by surrounding its guests in what can be described as architectural heritage integrated with modern trends of progressive, SOHO-inspired design innovations. Brassaii contains an exposed wine cellar, a sleek dining room, stylish bar and lounge as well as two private dining rooms for personal or professional events. 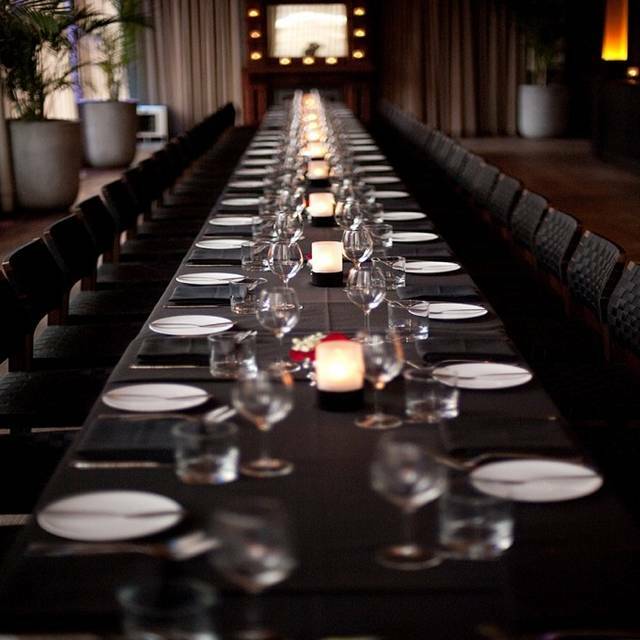 Drink and dine in stylish elegance amongst a refined urban atmosphere that will delight the most discerning palate. 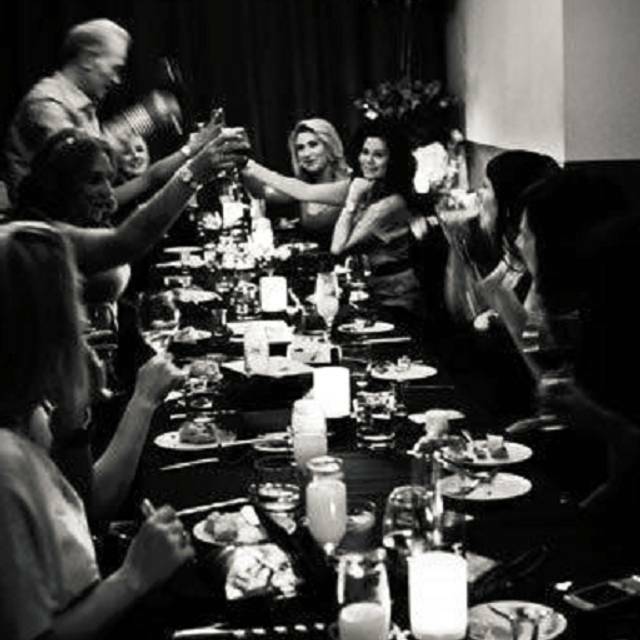 We provide the portrait of well-choreographed service while you enjoy a culinary experience and dynamic social ambiance not soon to be forgotten. We are a multi-functional venue suitable for small or large-scale events, devoted to quality, service and the professionalism of our team. From elegant canapes to mouth-watering pastries, our menu changes with the seasons to give our guests a new and exciting gustatory experience. Parking can be found next to us at 380 Wellington. Nothing to write home about. Over priced for what it was, very cold inside as well and no ambiance other than a Christmas party going on for some company in the other room. Lovely ambiance. Good service. Only one other couple in the whole restaurant so it felt like a private venue! I did not enjoy the soup as it needed more flavour. It was served uniqely though but lukewarm. My sisters enjoyed their avocado and beet salads. I tried the beets and they were delicious. The gnocchi was fantastic and my sister and I both ordered it. My other sister ordered the lobster mac 'n cheese which was good although the lobster needed to be cleaned better. Bits of shell in it was not very appetizing. Desserts were delicious. We had the passion fruit cheesecake and creme brulee trio. The pistachio creme brulee was to die for. Brewed coffee was spot on. Piping hot too! Waiter was very attentive and friendly. All in all a great experience and we would go back. I live in Waterdown and sisters in Oakville. We came to TO for a show at The Prince of Wales Theatre and I found the restaurant on-line. All restaurants close to the theatre on King were booked. If I could give 0 stars I would. I went to celebrate my 30th birthday and Brassai single handedly ruined my birthday by serving my guests and I an hour and a half after we ordered. The food was cold the manager unapologetic. They brought me the wrong steak and when asked to get the correct one they told me there was no time to make another one for me because it was too late. It may have been too late because they took almost 2 hours to bring our food. Our COLD food. I cut into my steak and it was a medium when I requested blue rare. I sent the steak back because I couldn't eat it. My husband had to send his steak back because it wasnt the right temp and very cold. The manager gave us a lame excuse that they had a party of 70 they had to accommodate and their kitchen was not equipped to handle so many parties at once. If you're not equipped to handle that many reservations maybe you shouldn't accept that many reservations. I ended up eating a hot dog on the street as no other restaurants were open. Needless to say, thanks to Brassai for ruining my milestone birthday. only one thing wrong --we were having a lovely quiet dinner for 3 when they pumped up the music about 10pm for no reason that I could see. We waited more than 1 hour for our food. For the price for a meal, the wait time should not be that long. Perhaps they can hire more kitchen staff. Our waiter felt bad and offered us complimentary drinks and dessert but at the end we felt bad for him. Because we waited so long, our night had to be cut short as the next place we were planning to go after dinner cancelled our reservation since we were late. We had a great time on a friday night dinner with friends. Our Server was amazing! Food was exceptional. Overall, I would recommend it to a friend. The food, the atmosphere was on point. I loved how the restaurant turned into a bar with a dance floor after midnight! Ordered duck and was horrible, didn’t look good at all. Also ordered octopus salad and had one small piece of octopus and the rest potatoes. Not worth the price. Also bus boys would keep coming around to pick up plates that weren’t finish as yet. We were going to a show so had an early reservation at 5:30, we pretty much had the place to ourselves. Staff were excellent and very attentive. 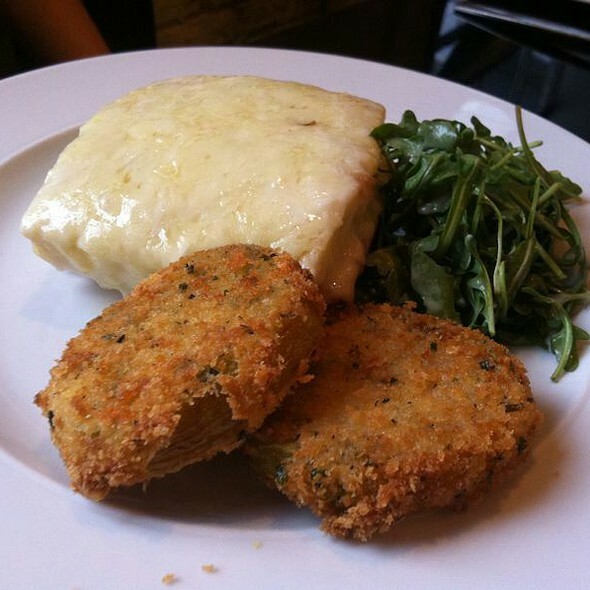 Our app and entrees were excellent and we were even treated to champagne by the server as it was our Anniversary. Highly recommend. I had a birthday dinner with a friend and the service was bad and the food was not good. 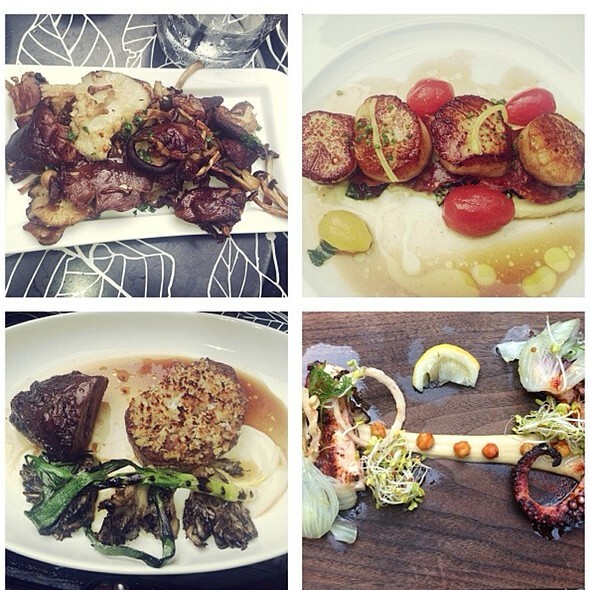 I’ve dined at Brassaii many times before and didn’t have any issues. This time around, however, the waiter didn’t do a stellar job and the food and drink was bad. I think the standards have gone down. Music a bit much, and too loud for a Sunday brunch. The windows were dirty. Could have been cleaner. So disappointed. Food was poor. My steak was a very poor cut. My nieces gnocchi was tough. It was not cheap and the food was terrible. Waiter was very nice and helpful. Never go back. We had a great time vacationing in Toronto. Brassai was a recommendation to visit and a highlight of the trip. We loved our waiter, Z! Very intelligent about the food and great company. Food was not prepared well. For example the pasta was undercooked and the ragu bolognese was terrible. We were not the only table asking for salt, we noticed. 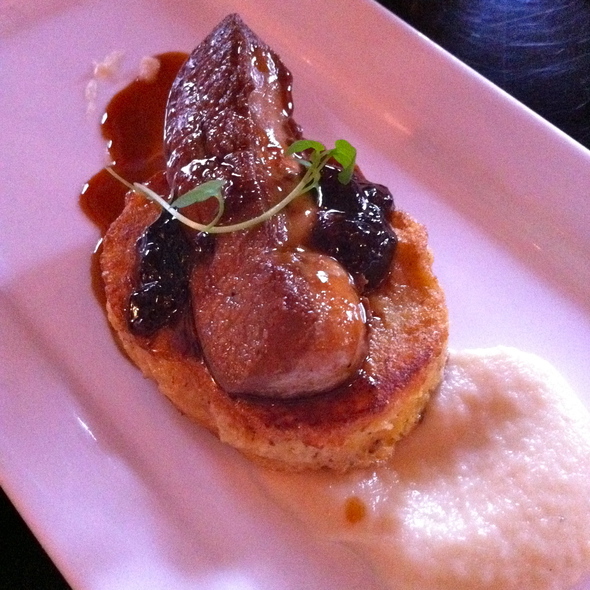 The duck dish had a tough meat and sitting in water that came from the accompanying endives. Service was friendly and attentive although the fellow smelled from freshly smoked cigarettes. This place is not cheap, it is not recommended. The food and the dinner service were good. I was expecting more from DJ Danny D. He’s better on the radio. The crowd was also mostly female and the dancing space is small and tight. I wouldn’t return. We enjoyed the kind and attentive service, however, beyond the pork belly bun appetizer (which was AMAZING!) everything else was just ok. Both our entrees (duck breast and veal chop) were overdone and a bit dry. To be fair, we did not raise this as an issue but feel if we had, they would have been more than happy to address. We consider ourselves foodies and enjoy a nice meal - while this wasn’t the worst, it wasn’t the best. Although it was quiet, my food was amazing! Would definitely go again for the lobster. Most of the staff were very attentive and friendly. The restaurant has a very modern and aesthetic appeal to it. The food was nothing to call home about, the ambience was nice, but the service was a whole different level of poor. Our server wasn’t bad at his job: he was creepy and inappropriate, making comments alluding to the friend with whom I was dining and I “making out at the end of the night”, interrupting my friend as she tried to place her order to tell her that the appetizer she chose was not good, he didn’t like it, and insisting she order something else, and finally saying that we “might actually like” the cocktails we ordered because they were “really feminine for an old-fashioned”. I was so irritated by his lack of professionalism and inappropriate comments that I would dissuade anyone from going to Brassaii. Strongly recommend that management speak to this server about his behaviour. Other than that, the food was fine, albeit overpriced. The outdoor patio was lovely for most of our meal, until the music was cranked up so loudly that we couldn’t hear each other speak...it seemed unnecessary, as the patio was still mostly empty. The cocktail we ordered (I can’t remember the name, but it was a cognac-based soon on an old fashioned) was watery and unbalanced. All in all, a solidly mediocre experience tremendously marred by creepy and unprofessional service. Really good food and the atmosphere was nice around dinner time. The one issue we had with dinner, is the wine choices we made, we were being told that they were out of it...and it happened with 3 wines. It was amazing. All in one place to eat then dance on a Friday night. Food is great I had the curried octopus and salmon. My girlfriend had beet salad and halibut. All courses were very well done. Service is good as well especially the hostess who offered to put us girls on the guest list so we can return back to the club at night without paying for the cover charge. Service was efficient and pleasant. Food was good but nothing so great. The meat board is quite large so good option for a group. Please don’t order off the cocktail menu. Their signature drinks are weak and too ice heavy. The off menu dirty martini I ordered was excellent. When you’re charging me 10 dollars for two easy over eggs and they turn out hard. Not impressive for hat price. On top of that sever name came to check in to see how everything was. Overall I heard great things about the food and service at this restaurant so was excited to try it out. By the end I was quite disappointed in the food quality and service. Would not recommend this restaurant for breakfast going forward. Menu was good.. Except the crab bisque and octopus.. Didn't enjoy. Music was horrible.. We expected to stay all evening.. But couldn't take it. Also, waitress didn't advise us that tip was included and one couple tipped...he asked her to cancel transaction and redo. Food was good. Very expensive for the portions. Needs more dinner options. The waiter took out food and drinks before we even finished with them. Didn’t ask us if we were done. But the atmosphere was good. And the waiter was friendly. Service was good. Food was ok, a $22 brunch item should come with a side in terms of value. Not an overly memorable experience. Great time out with friends- stayed late for DJ and dancing. Dinner was very good - had the spaghetti with shrimp and it was excellent. My friend had the veal and although I didn’t try it, it looked amazing and he raved about it all night. Only reason I didn’t give a 10 is that I was looking for a healthy salad option but everything was really full meals - but the meals were fantastic and very different so totally worth the calories in the end. Always a great time, especially for Mother’s Day. The restaurant was very accommodating and understanding as they held our reservation for an extra 30 minutes due to unforeseen circumstances. The food was spectacular! The servings are a little small for the price, however the presentation of the food was great! I have a GF and DF allergy and the staff is very accommodating. The manager served our food herself to ensure me that my dishes were safe for me to eat. If you are coming here, and want to eat well and have a couple of drinks, expect to pay upwards of $100. If you get there before 10pm, its free coat check and you won't have to pay the $20 cover to stay and dance afterwards! Overall a great night and will definitely be going back! The halibut was great and the veal chop was a nice big portion. Thought the waffle chips and mushroom cheese sauce was a nice presentation.